Meaning of Patience is a virtue. 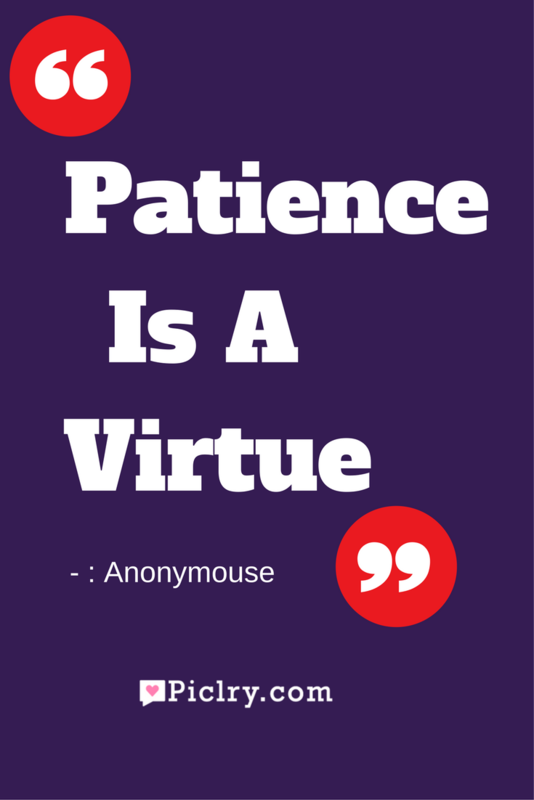 Nothing is truer than the statement that says that patience is a virtue. Patience has a deeper meaning than what is given in the dictionary. It means living in the time, looking at all the aspects before taking a decision and it means never having to regret what have you one. Decisions taken or actions done, in haste, can cause irreversible harm. Patience can change our life. Most of us rush our decisions and actions as we don’t have time to wait and ponder over the results it could bring in the future. Patience can change the way we make our decisions. Many times we rush to a conclusion and strain our relationship. But instead if we patiently handle them, we might make them stronger. Every aspect of our life demands patience. From office to sports, every job asks for patience. So it can easily be said that patience is definitely a virtue.